(Bloomberg) -- Blackstone Group LP is close to raising $20 billion for its largest real estate fund ever. Blackstone, already the private equity industry’s largest real estate investor, has quickly raised the money after it started officially marketing the fund toward the end of last year. The firm plans to close the fund in the first quarter of this year for institutional investors, according to a person familiar with the matter. Institutions such as public pension plans and insurance companies are making big bets on property assets to protect against inflation and expand their holdings beyond stocks and bonds. The number of investors allocating $1 billion to the space has been increasing, according to data provider Preqin. The fund’s strategy will be similar to the firm’s prior real estate fund, which gathered $15.8 billion in 2015 and focused on distressed properties globally. Real estate investments have made big profits for Blackstone. Jon Gray, who last year was promoted to president and chief operating officer, deserves some of the credit. Under his leadership, the firm paid $39 billion for Equity Office Properties Trust and $26 billion for the Hilton hotel chain at the height of the real estate boom in 2007. Those investments made profits of more than $20 billion. 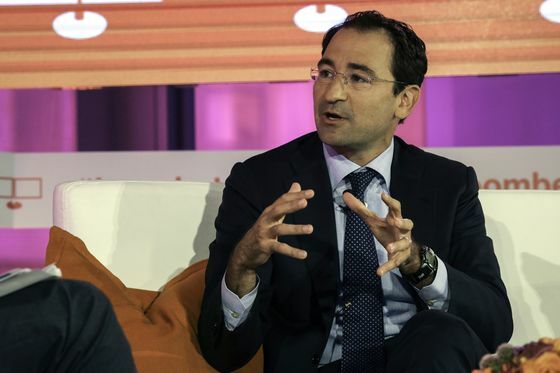 New York-based Blackstone owns investments in hotels, offices, retail, and industrial and residential properties in the U.S., Europe, Asia and Latin America. A representative for Blackstone declined to comment. The Wall Street Journal reported the news about the fund earlier today.